'Tis the season and this weekend you have multiple opportunities to have your pet's picture taken with Santa to raise money for two charities that are very close to my heart. On Saturday Dogtopia in Woodbridge from 2 to 5 pm, the DC Chapter of the National Canine Cancer Foundation (NCCF) hosts their first event since forming this fall. The NCCF funds grants for "cancer researchers who are working to save lives, find cures, better treatments and accurate, cost effective diagnostic methods in dealing with canine cancer". Not only will they have a Santa on hand to pose with your dog, you can also purchase NCCF pink paw merchandise. If you can't make it out to Woodbridge, on Sunday from 12 to 3 pm at Fresh Boutique in Georgetown, Fashion for Paws is having a fundraiser benefiting the animals and programs of the Washington Humane Society. There will be holiday themed pet portraits done while you sip mimosas and snack on tasty treats. 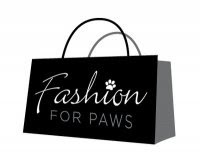 Fresh Boutique will be donating 10% of all proceeds from the day to Fashion for Paws. WHS's mobile adoption center will also be there with dogs and cats in need of adoption. Lily and I will be there to check things out, she has a very cute Christmas tree sweater that I plan on making her wear. 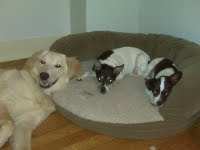 Another great gift option is the 2 Dogs, 2000 Miles Cancer Can't Keep a Good Dog Down 2010 Calender. I received mine last week and was touched by the pictures and stories of courageous dogs in their battle with cancer. Please come out this weekend to raise money for these wonderful charities dedicated to improving the lives of pets everywhere.